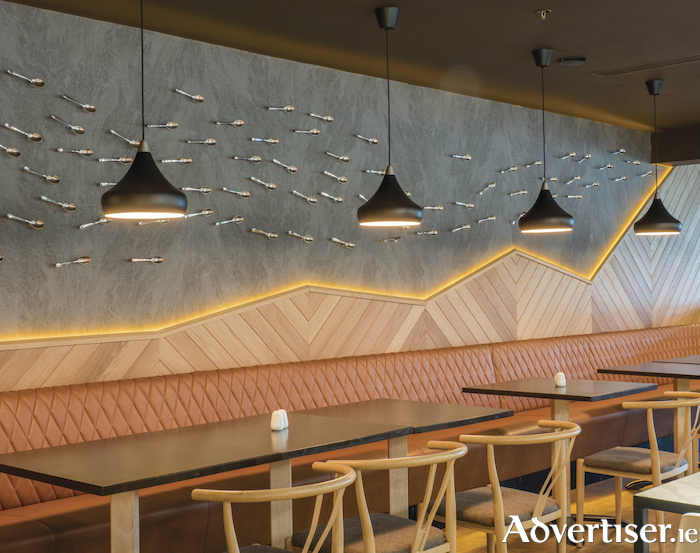 Monaghan Bros is a leading specialist in the manufacture and supply of standard and customised contract furniture to the hospitality industry throughout the country. The business' furniture is sold direct to the hospitality industry at home and to markets overseas such as UK, Europe, USA, Japan, and Australia. In the Monaghan Bros Company, there are four brothers who commenced business in 1987. They started as artisan producers and gradually came to specialise in hospitality furnishings. They all work in the factory in addition to their executive responsibilities and supervise everything that happens. They lead a skilled and cohesive team. The business manufactures a wide range of furniture such as fitted seating, tables, chairs, tub chairs, bar stools, which are made to customer’s specifications using a wide range of leathers, leatherettes, and fabrics. The team also offers a full re-upholstering service for existing furniture. Monaghan Bros has a large showroom based in Claremorris, County Mayo, where customers can see the range of furniture and designs. The business also has reps on the road who can call to a customer's premises for a consultation. Call Monaghan Bros on 094 93 65504 for more information.